Approach er þröngur og á að vera þröngur. Mælum með að taka einu númeri stærra en í venjulegri hanskastærð. Hentar ekki fyrir þá sem eru með breiða hendi. Approach has a unique design like nothing else seen in the industry. Made from the best cabretta leather we could find. 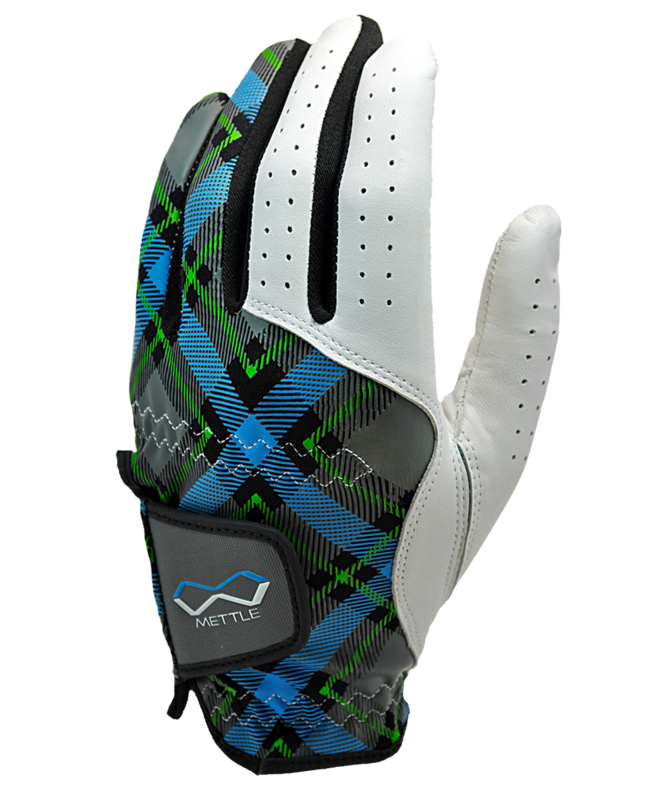 The Approach features lycra on the top of the hand to provide venting and flexibility. It also has lycra built in around the thumb to provide a better fit for different thumb sizes. You’ll be sure to draw attention wearing this glove! Don’t forget when your done playing, it also provides a great grip on any beverage!! The Approach Series glove is a form fitting glove. This glove is meant to be a more snug fit. This will require a little more “breaking in.” Use the same instructions as above for putting this glove on. Use extra care on the initial fit. After a bucket of range balls, or your first 9 holes on the course, you should have a molded fit to your hand. We do recommend sizing up a full size with this glove for the correct fit.